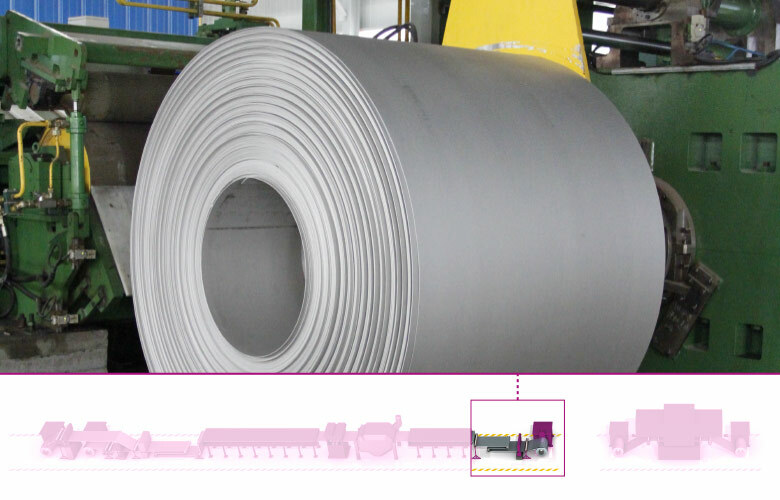 In cold rolling workshops for stainless steel production, the hot annealing and pickling line (HAPL) is the first continuous process used to heat treat and pickle the hot rolled coils to obtain so called white coils (also called №1). 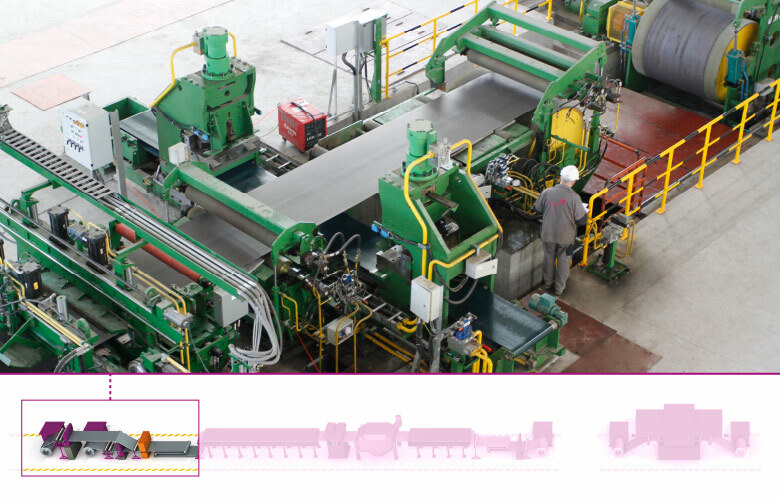 Depending on the grades, in-line heat treatment can be applicable or not. 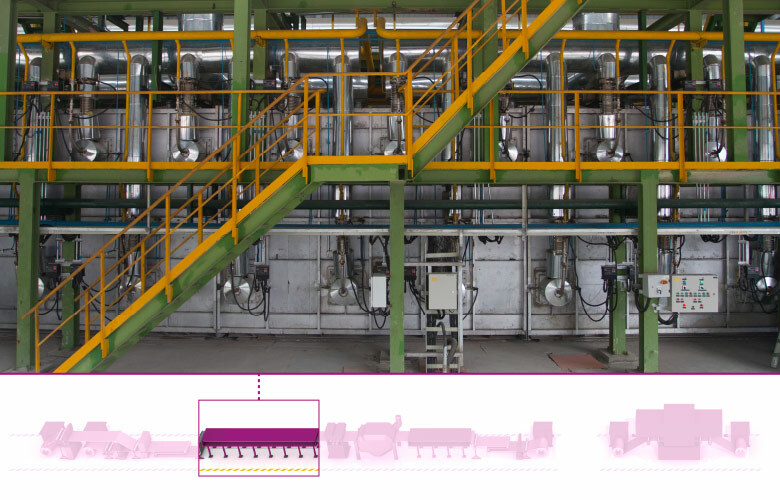 Fives has designed more than 12 NeoKoil® hot annealing and pickling lines worldwide to be both efficient and environmentally responsible, with minimum waste generation, high volume sludge removal, acid purification and/or regeneration, as well as automatic acid monitoring and dosing control. 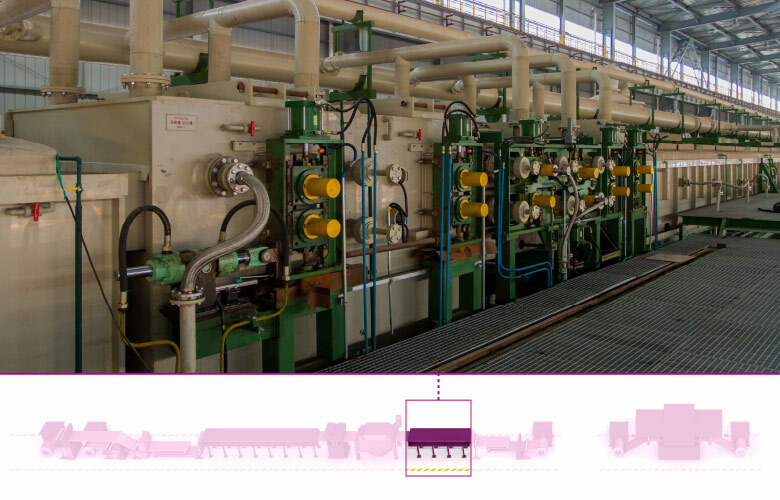 Using DMS OptiLine™ process management software, NeoKoil® hot annealing and pickling line from Fives is responsive to changes in operating conditions, enabling more efficient operation and reduced downtime. The entry coil handling section is engineered to handle the coil very carefully, ensuring minimal waste and optimal product quality. It includes entry coil skid and car, pay off reel, threading pinch roll and flattener, shearing section (entry shear and scrap evacuation system) and coil joining section (welder and notcher). Stein direct fired furnaces offer flexibility of operation and high quality of strip heating due to the furnace insulation and combustion control design. The furnace is equipped with AdvanTek® direct fired burners which uniformly heat the strip under accurate oxygen level control. The cooling technologies include combined air and water or pure water cooling (including cooling control crosswise); and mist cooling and drying technologies for the last stage cooling. 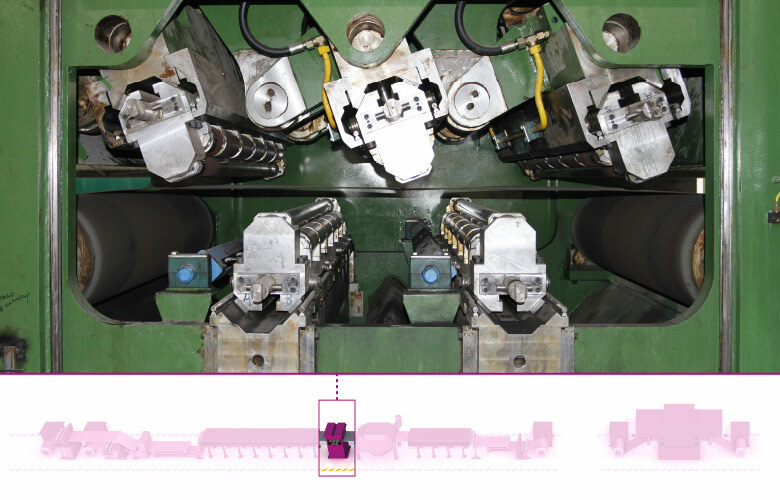 The DMS ScaleBreaker was developed to increase the performance of a strip processing line by breaking the oxidation (scale) layer at the surface of the strip and improving its flatness. Cracking the scale layer at this stage speeds up the pickling process. Numerical presets make it easy to operate. The custom-engineered and optimized pickling system features a robust and safe design with minimum chemical consumption and an intuitive operator interface. Every line is designed with an automatic acid monitoring and dosing control that guarantees reliable and repeatable processing that is safe and efficient. The cold rolling mills are essential to reduce strip thickness while guaranteeing strip surface quality. 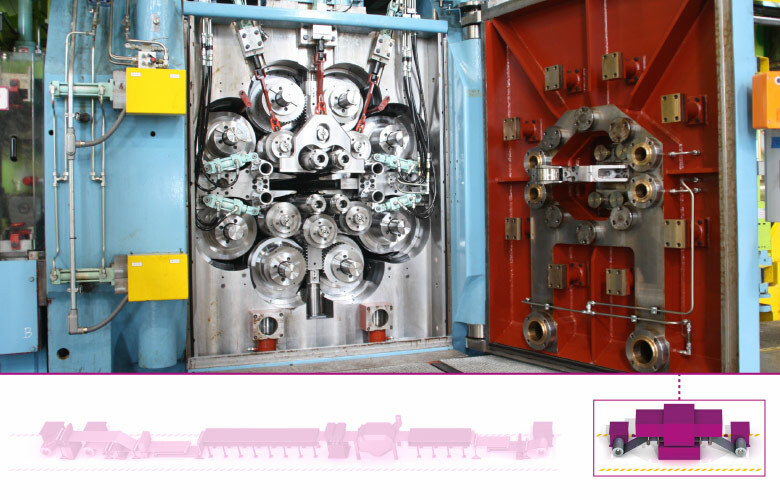 The DMS 20Hi rolling mill for stainless steel achieves a maximum rolling speed of 1200 mpm, a minimum strip thickness of 0.04mm and a maximum strip width of 1880mm.